I began blogging just one short year ago today. I’ll begin the year by reviewing what was the best of the best in my first year of blogging. Most of you likely began reading my blog in the latter half of the year and didn’t get to see my early stuff (which is actually where many of my favorites originated). You’ll see that with many of the recipes (interestingly enough), it was my first time working w/ a specific ingredient. Moral of the story: trying new things is always a good thing! A rule I live by is ‘Why repeat a recipe? You’ve already had that!’… just about everything I end up making and blogging about is from a recipe I’ve never tried before. Scouring old food magazines and cookbooks, as well as trying new & unique ingredients keep cooking interesting and fun. These were tough to choose since I only blog about recipes I’ve really enjoyed- I had 20, then I whittled it down to 12, then 10. I picked not just the most popular, but truly my faves. Click titles to go to the recipe. 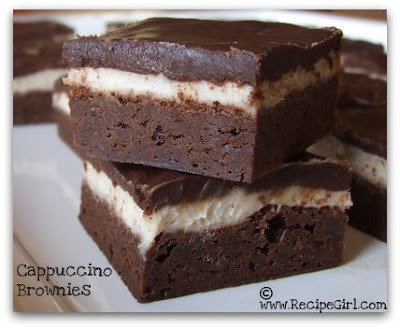 Cappuccino Brownies– I made a few new brownies recipes this past year, but these were the WOW of the bunch. 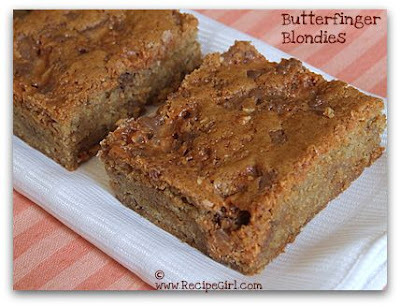 Butterfinger Blondies– I brought these to a party and they were devoured immediately. They’re quite addicting! Red Velvet Cupcakes (the Red Velvet Cheesecake was amazing too!! 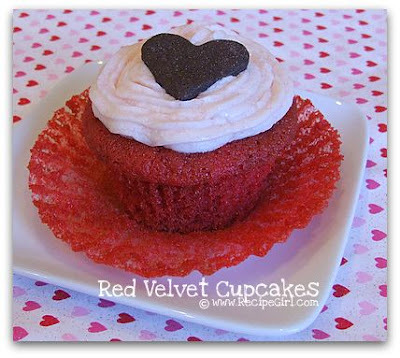 )- It was my first time making Red Velvet. Now I’m a huge fan! 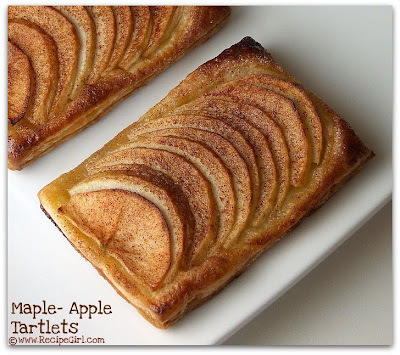 Maple Apple Tartlets– These were inspired by my first-ever trip to an apple-picking orchard. I was really pleased with both how these looked and tasted, as well as how simple they were to make. 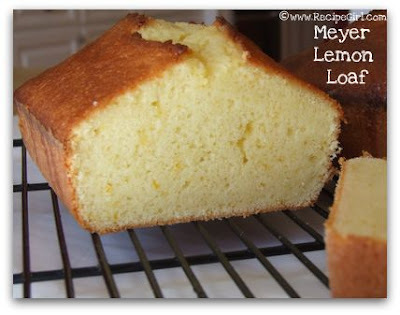 Meyer Lemon Loaf– This recipe (along with the Meyer Lemon Curd) made me fall in love with Meyer Lemons. 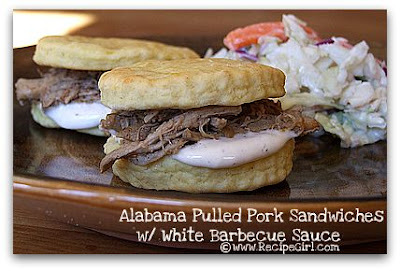 Alabama Pulled Pork Sandwiches w/ White Barbecue Sauce– I made these for a Charger’s playoff party. We ended up losing the game, but I discovered a great, new recipe! These were a big hit with party-goers. 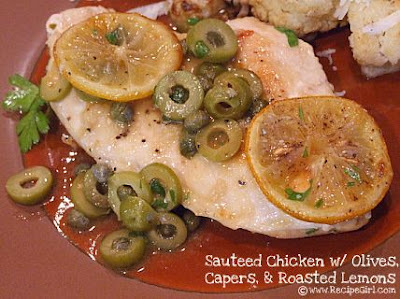 Sauteed Chicken with Olives, Capers & Roasted Lemons– I had never roasted lemons before… what a great flavor they impart, and this recipe was great. 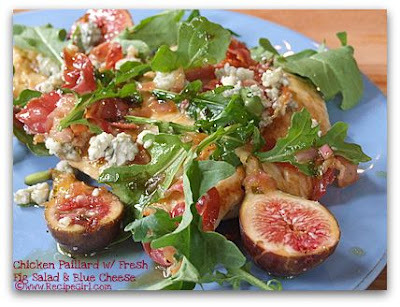 Chicken Paillard with Fresh Fig Salad and Blue Cheese– Again, a first experience in cooking with fresh figs. I was impressed with this dish- so delicious. 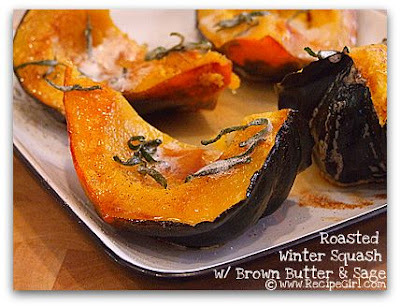 Roasted Winter Squash with Browned Butter and Crispy Sage– First timer for me with acorn squash. I love the stuff now, and browned butter and sage made it perfectly wonderful. 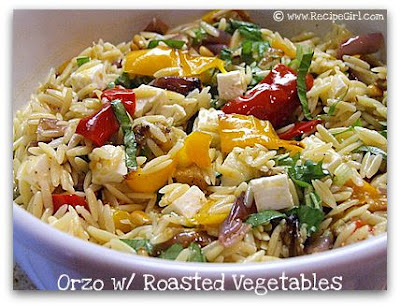 Orzo with Roasted Vegetables– LOVED this salad. The roasted veggies were fabulous. It made a ton, and we ate it for days. There you have it- the favorite new recipes of 2008. Makes me want to get right back into the kitchen and discover some more, which is what I’ll be doing this year. May you have a Happy, Prosperous & Delicious 2009! 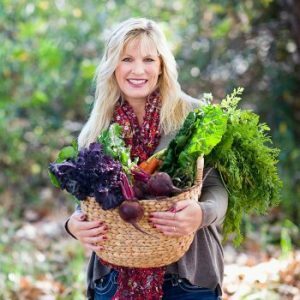 Lori, I cannot believe you’ve only been blogging a year! You have such an established blog, like it’s been here for years! Your food all looks fabulous. Can’t wait to see what’s in store for 09! These all look delicious! I am tempted to try those butterfinger blondies as I have leftover halloween candy still. Great round up Lori! Happy New Year. Looking forward to your new recipes. Happy 2009, may this year be as delicious! Wow, what beautiful dishes, Lori! I am sure that they were hard to pick out from all the other wonderful dishes you featured this year! Hope 2009 is just as yummy! You are so very kind to have done this list AND this whole blog! Great roundup. So many delicious ones in one post. Great sweets. Love your “best of” lists… after you posted this one, I got motivated to look back at your best of 2007 lists, too! The only problem now is I have too many things I want to make! Happy 2009!